reported that they had already reached their retirement goals. for a substantial percentage of non-retired Americans. percent) as their top two sources of income in retirement. on personal savings – leaving the three-legged stool a bit unstable. 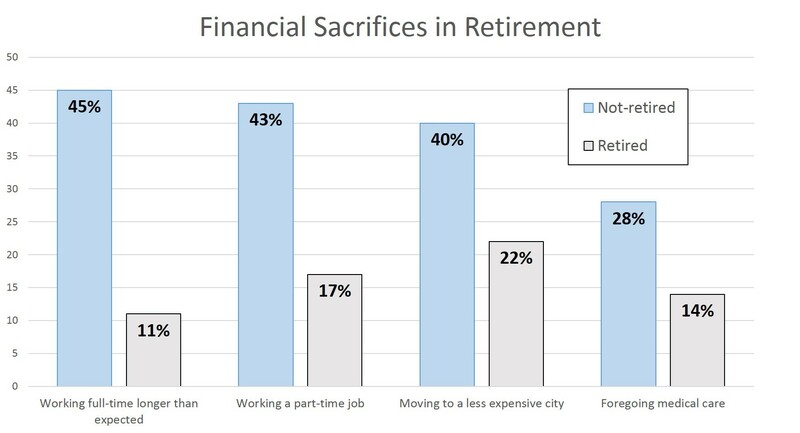 percent) as one of their two primary sources of income during retirement. self-sufficient when it comes to their retirement planning,” said Anton. care or treatment (28 percent non-retired vs. 14 percent retired). would otherwise build your retirement nest egg. 25–34 by encouraging them to make savings a part of their daily lives.